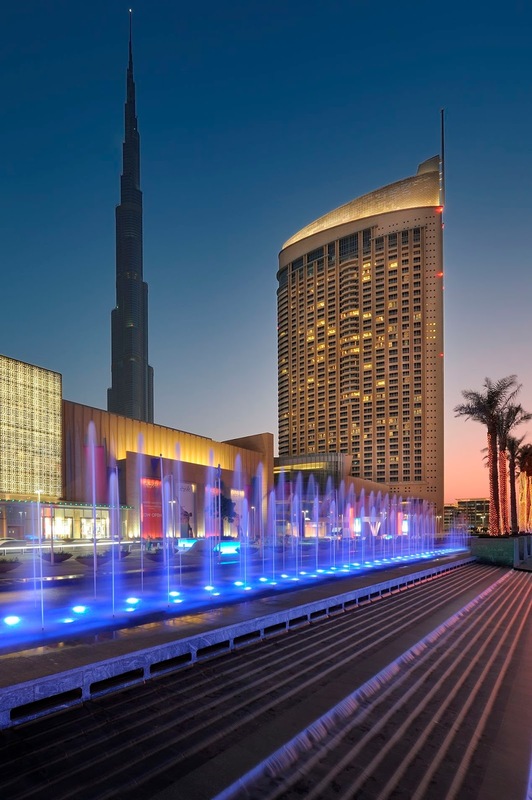 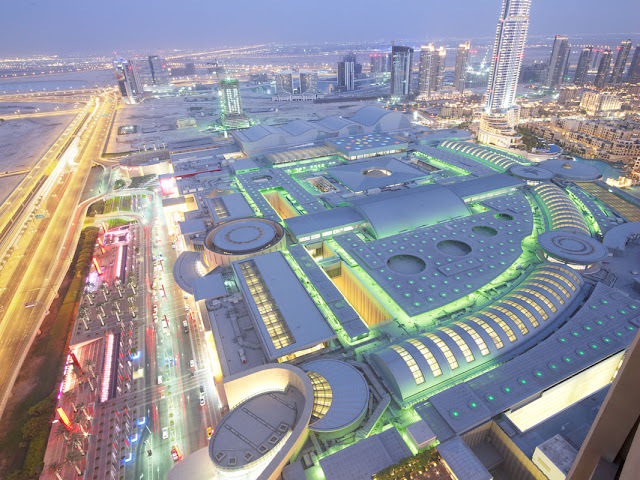 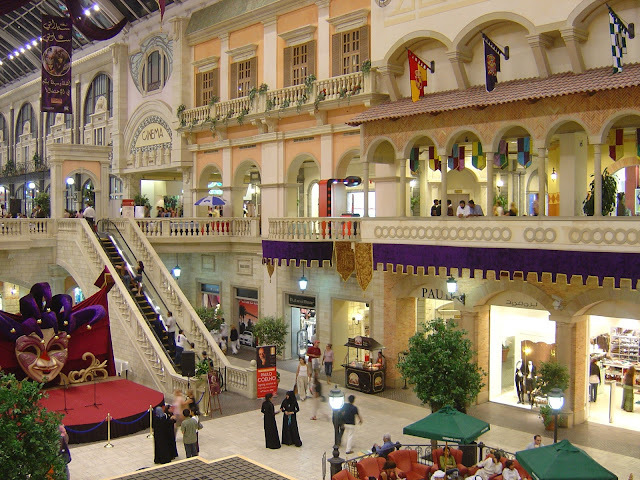 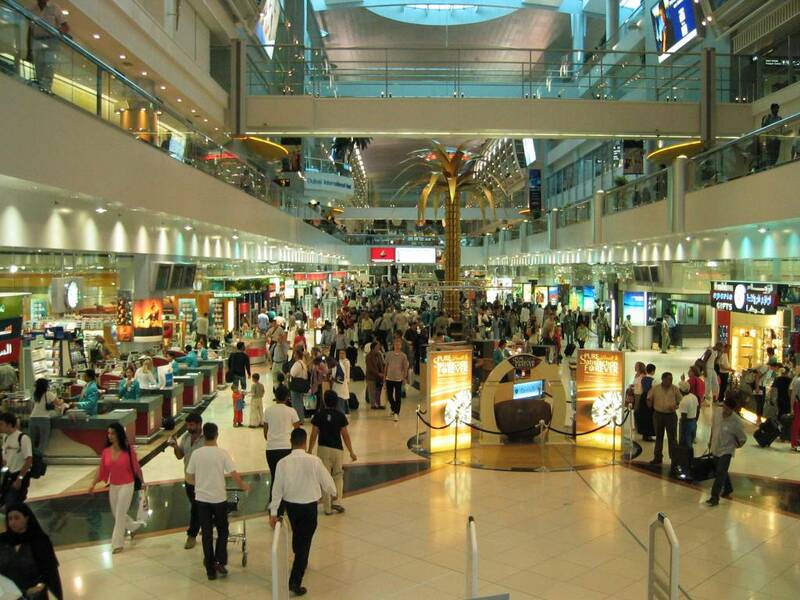 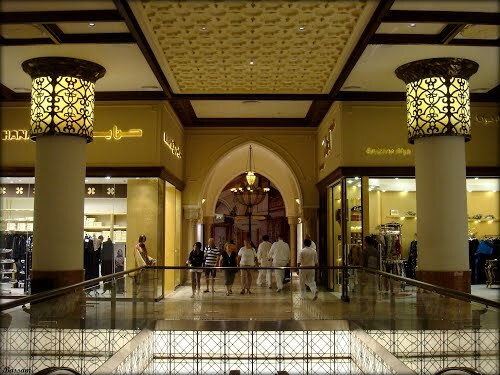 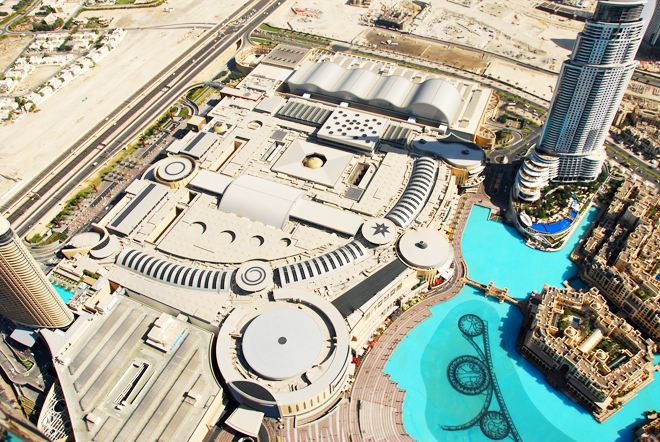 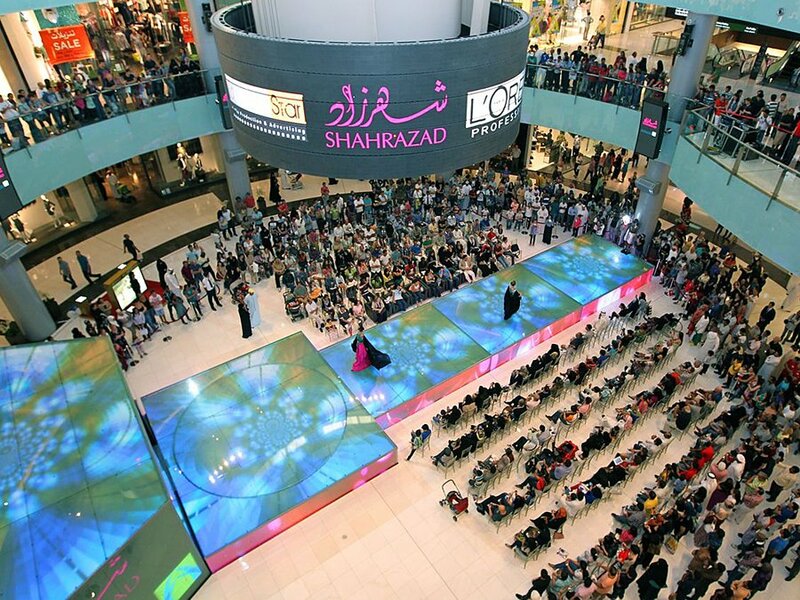 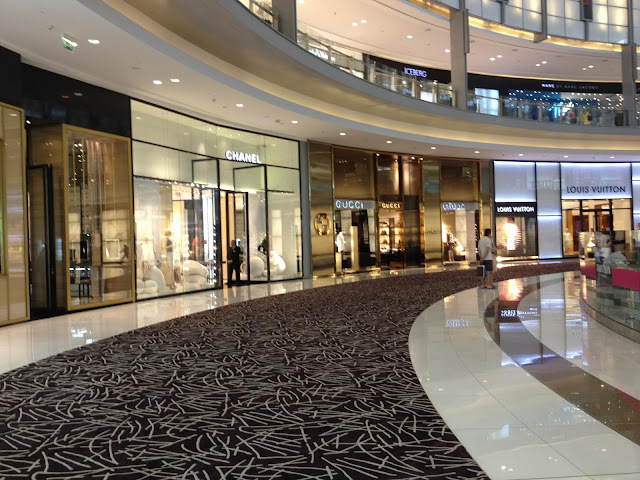 Part of the 20-billion-dollar Burj Khalifa complex, the Dubai Mall, with over 1,200 retail outlets, two anchor department stores, and 200 food and beverage outlets, is the world’s most visited and largest shopping and entertainment destination. 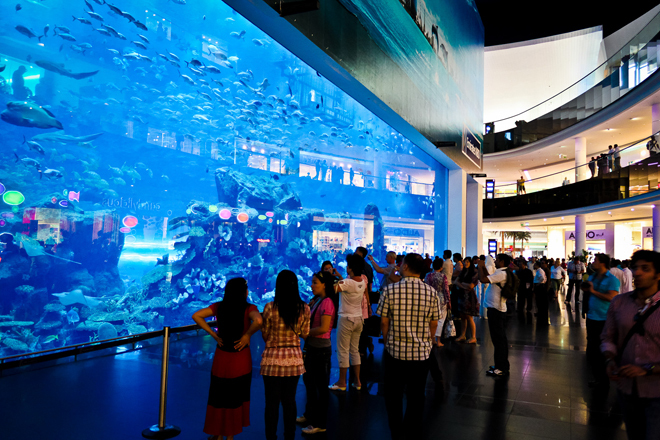 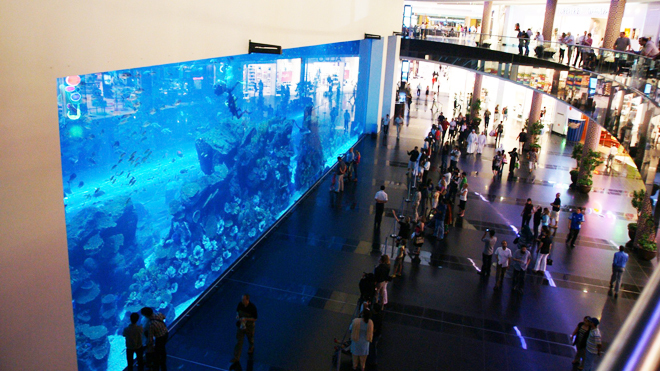 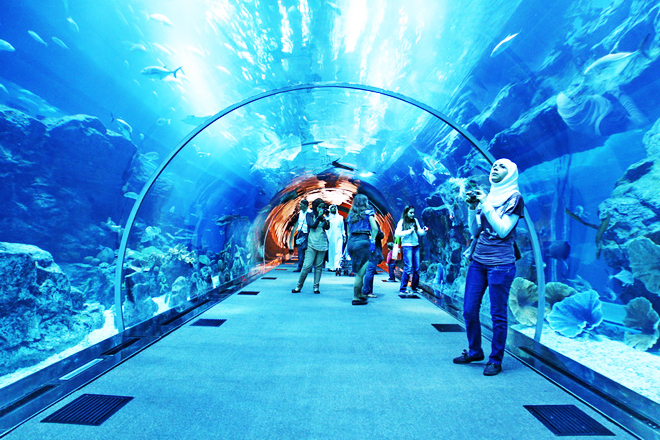 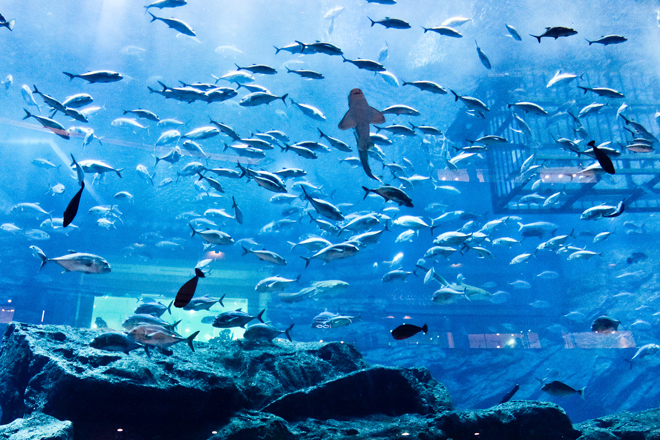 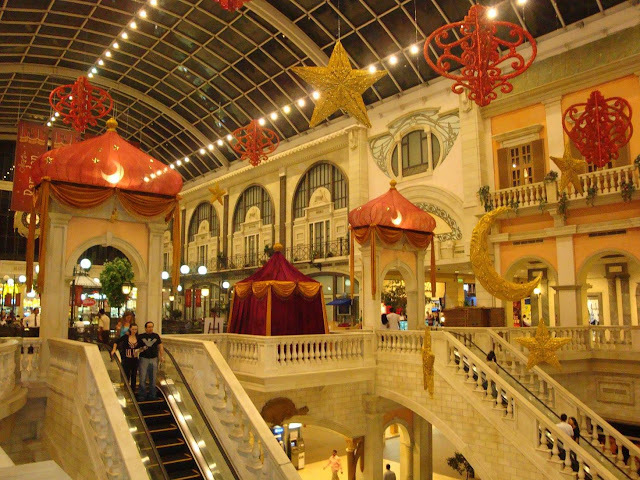 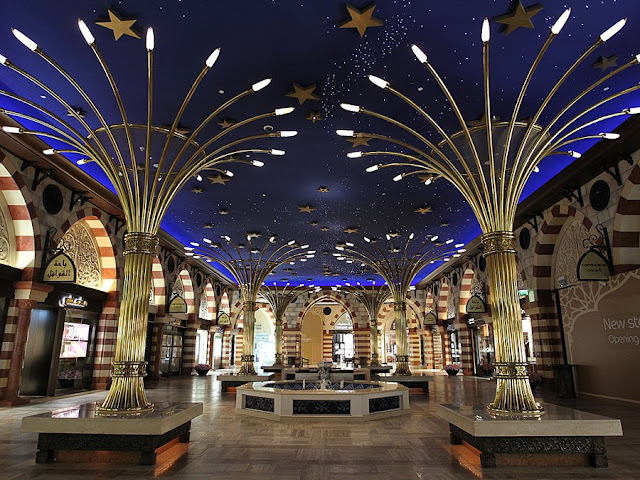 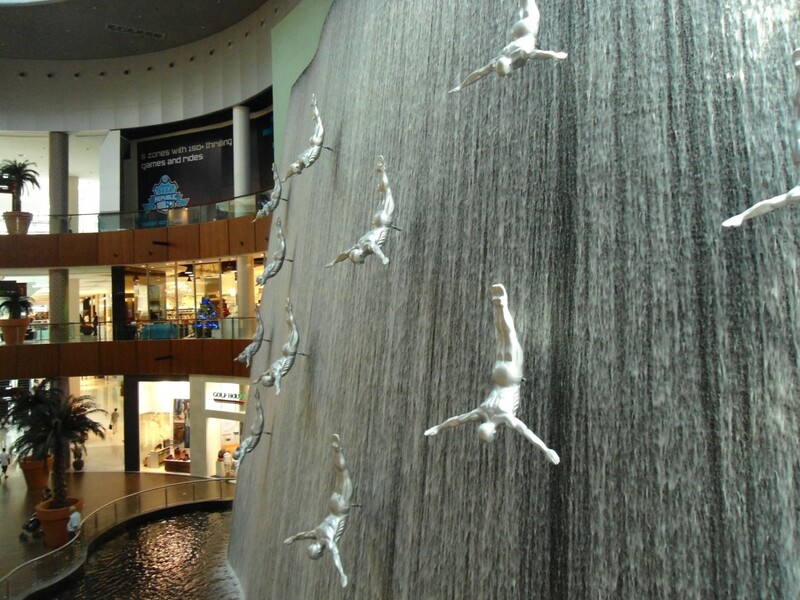 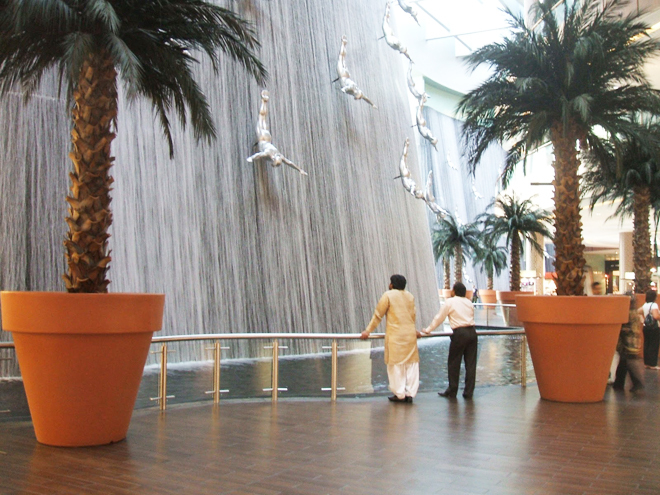 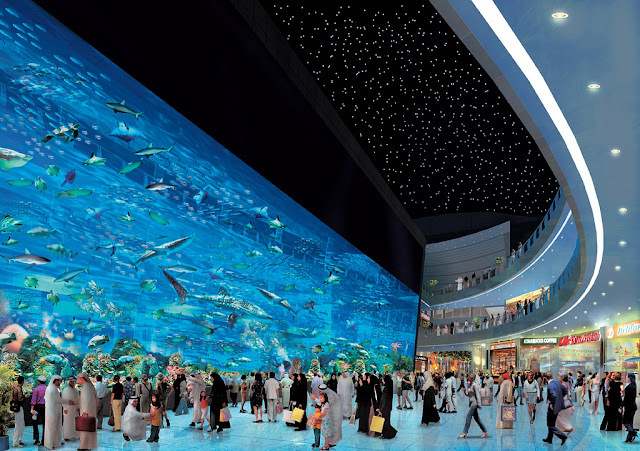 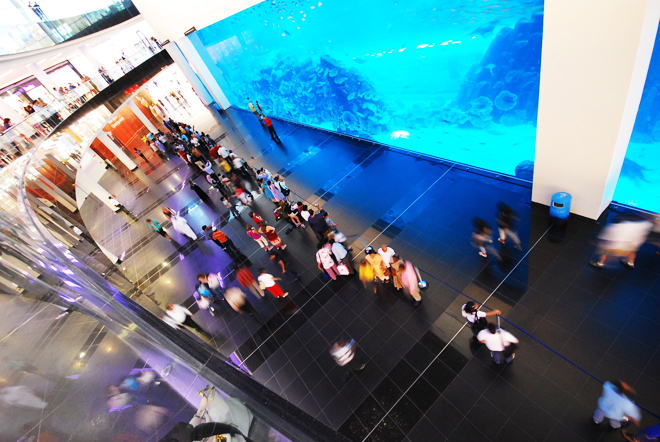 Dubai Mall is not only a shopping centre; indeed a key centrepiece in the Mall is its Aquarium and Underwater Zoo, one of the largest tanks in the world at 51m x 20m x 11m and featuring one of the world's largest viewing panel at 32.8m wide and 8.3m high. 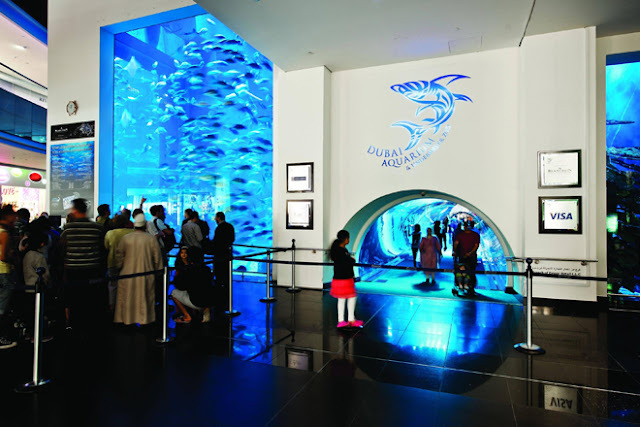 Dubai Aquarium has more than 33,000 living animals, representing more than 85 species including over 400 sharks and rays combined. In the Underwater Zoo you’ll find yourself face to face with dangerous Piranha, Giant Catfish, playful Otters, a Humbolt Penguin colony, and more. 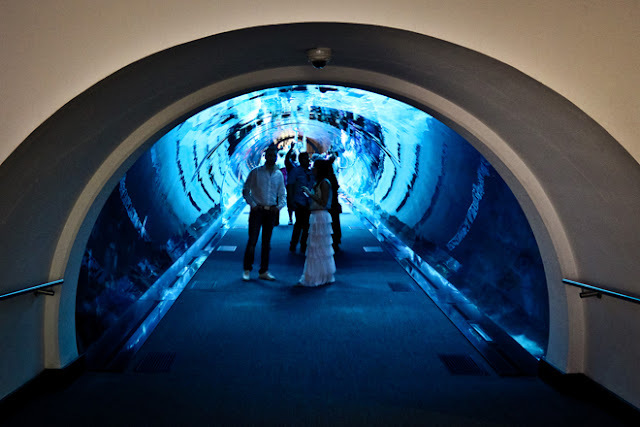 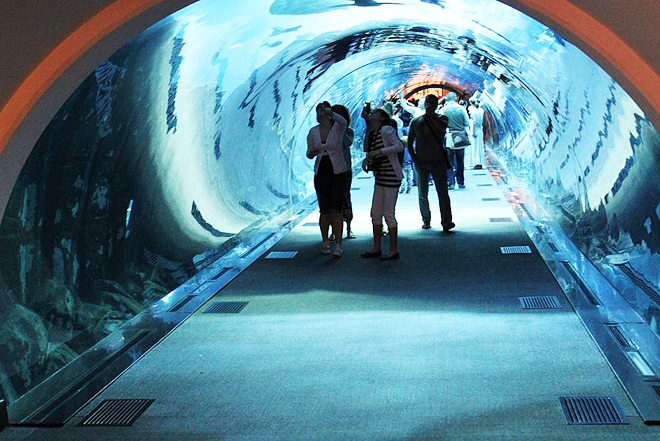 If you want to get closer to the sharks you can pay to walk through the tunnel which takes you through the tank. 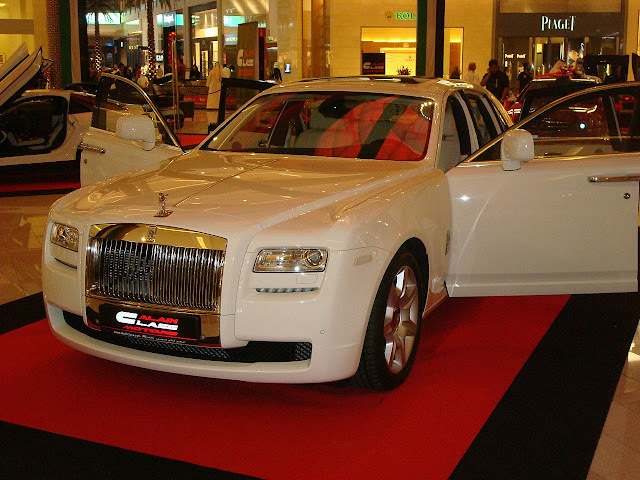 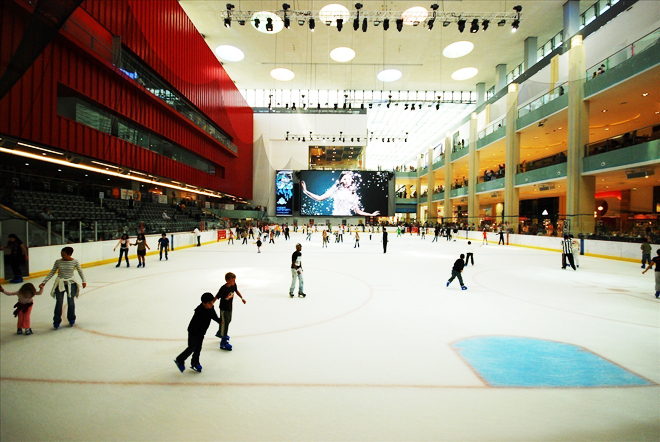 Most people find the free view from the mall is entertainment enough. So, if you find your way to this mall, don't worry about being bored and not knowing what to do.